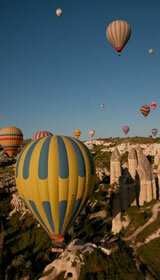 6 Day Istanbul and Cappadocia Tour. Enjoy the nature in an undisturbed natural setting. Istanbul, Ephesus, Pamukkale, Pergamon. Let's experience the landscape and the ancient cities together. 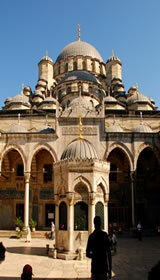 7 Day Budget Tour of Istanbul, Ephesus, Pamukkale, Cappadocia. Discover the main highlights of Turkey in an economic way. Istanbul, Cappadocia, Pamukkale, Ephesus by Plane. Visit the most popular destinations in Turkey. 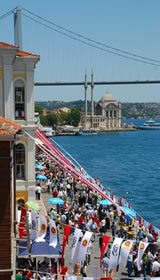 Istanbul, Gallipoli, Troy, Ephesus, Pamukkale, Cappadocia, see the diversity of cultures in Turkey. Istanbul, Gallipoli, Troy, Ephesus, Pamukkale, Cappadocia. Fully optional tours give you the choice to do as much or as little as you want and you can do all this, only in Turkey. 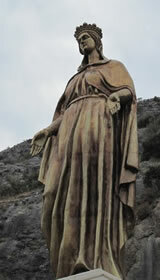 Istanbul, Cappadocia, Konya, Pamukkale, Ephesus, live the culture of the Silk Road. Istanbul, Cappadocia, Konya, Antalya, Pamukkale, Ephesus. Let's visit the main highlights of Turkey and discover the natural wonders and historical values of Turkey together with you. Best of Turkey with Blue Cruise. Gallipoli, Troy, Pergamon, Ephesus, Pamukkale, Fethiye, Blue Cruise, Blue Lagoon, Kalkan, Kas, Kekova, Myra, Olympos, Antalya, Konya, Cappadocia. Istanbul, Cappadocia, Konya, Antalya, Fethiye, Pamukkale, Ephesus. 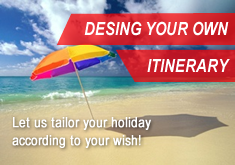 Unforgettable tour for you at a price that suits your pocket. Reward yourself with a great holiday that the cultures met and sail in Mediterranean, sleep in a tree house on the hillside of Zeus, visit the home of great philosopher Mevlana in Konya, see the cave houses, underground cities in Cappadocia. 20 Day Turkey Tour - Let us arrange an unforgettable tour for you at a price that suits your pocket and enjoy nature in an undisturbed natural setting. Istanbul, Gallipoli, Troy, Ephesus, Pamukkale, Fethiye, Kalkan, Kas, Myra, Olympos, Antalya, Konya, Cappadocia, Nemrut Mountain, Istanbul.